These are just a few examples of the numerous real members' stories that illustrate, if you own a gun, it can happen to you. When a Colorado Member was confronted by two angry men in a grocery store parking lot, he tried to defuse the situation by showing his firearm. Member Care Ambassador Sherry Hale explains why our member got arrested — and learn the simple step you can take to avoid a similar fate. Members, Have a Great Story? If you have a great story related to owning a firearm or how your U.S. LawShield membership has benefited you, we want to hear about it. You can share your story at memberstories@uslawshield.com.  "I didn't sign up for U.S. LawShield because at the time I thought I would never need it. I never expected to be in a situation like this. It ended up costing me thousands of dollars."